When I was growing up, Teddy Grahams came in only chocolate or honey flavors – and they were still one of my favorite snacks in the world. My kids now have access to those same flavors plus Cinnamon, Chocolatey Chip, and even Birthday Cake! The folks at Nabisco have taken things up a notch though, and today we tried TEDDY SOFT BAKED Filled Snacks. Today, Nolan and his sisters were thrilled to discover these super cute new snacks. 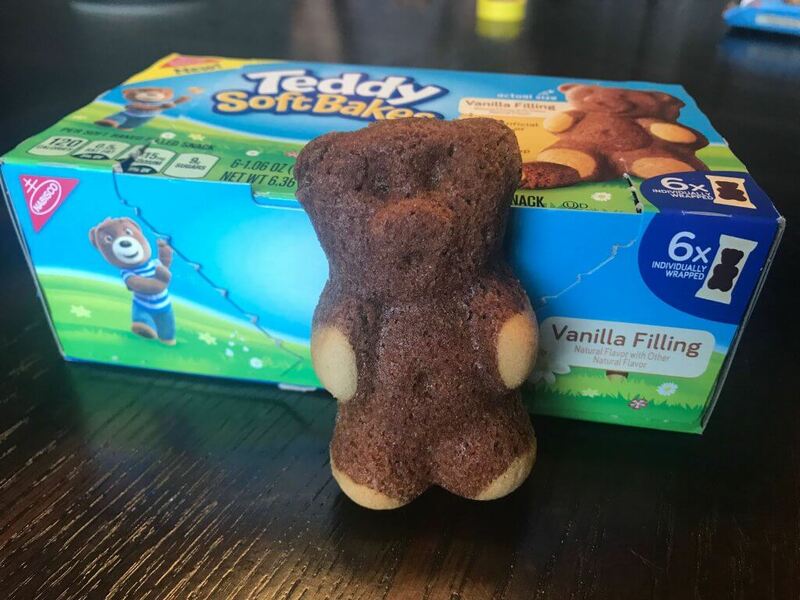 Instead of a crunchy graham cracker treat, TEDDY SOFT BAKED Filled Snacks are more like a little cake or brownie, with a frosting-like filling in he middle. I love that they’re made with real milk, eggs, and chocolate; Nolan loves that they sing and dance. I mean, they don’t really do so on their own, but with his imagination (and a little bit of help), his vanilla-filled bear was putting on a full show for me in no time at all! TEDDY SOFT BAKED Filled Snacks are just the right size for little hands and little bodies, but they have real ingredients that make mama happy. The kids all preferred the chocolate TEDDY SOFT BAKED Filled Snacks that were chocolate cakes and vanilla filling (pictured above). I preferred the vanilla with the creamy chocolate filling. Let’s be honest, though. A healthy snack with enough whimsy to make kids and grown-ups smile is good in just about any flavor! 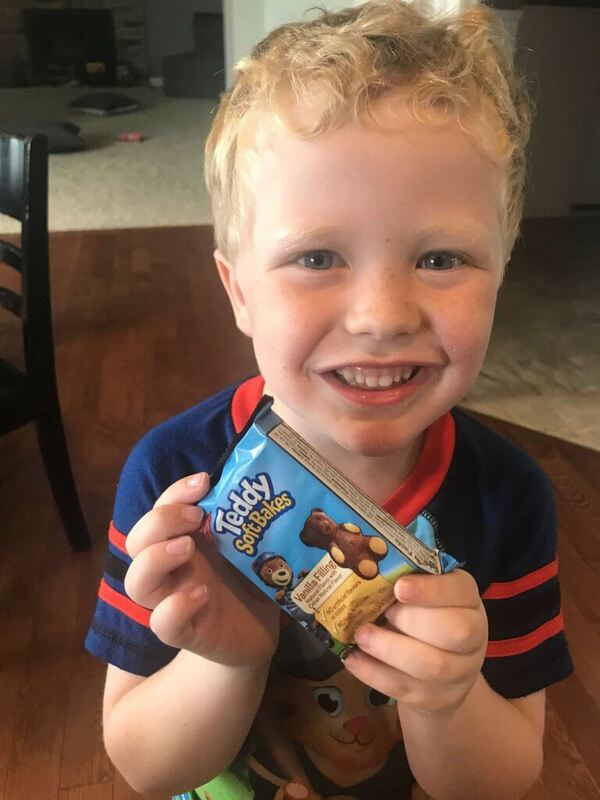 All smiles for the new TEDDY SOFT BAKED Filled Snacks! 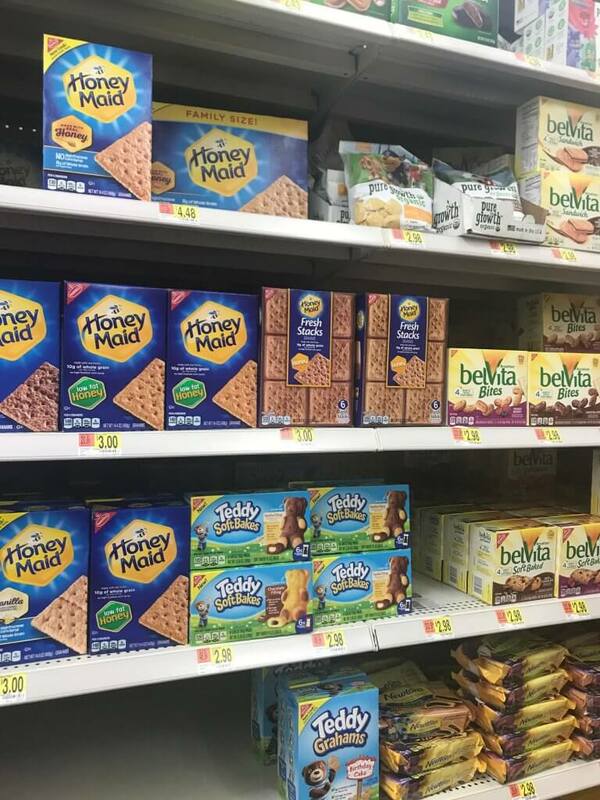 Enter to win one of fourteen Walmart gift cards, so you can try TEDDY SOFT BAKED Filled Snacks for yourself. I’d love to hear which you – I mean, your kids – prefer.